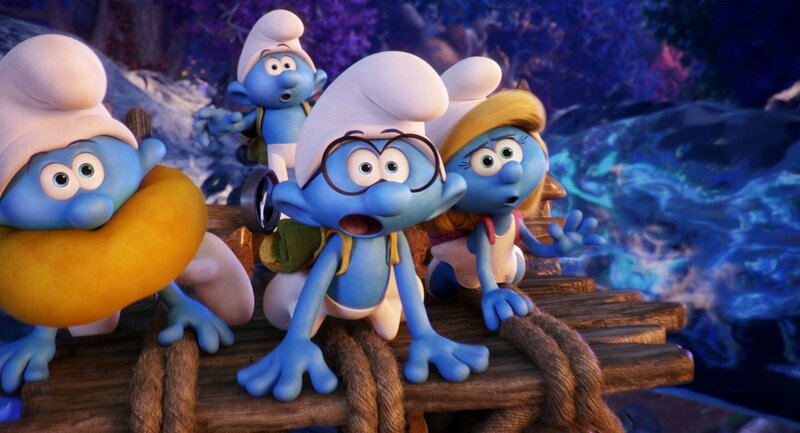 Smurfs director Kelly Asbury takes you inside The Lost Village! 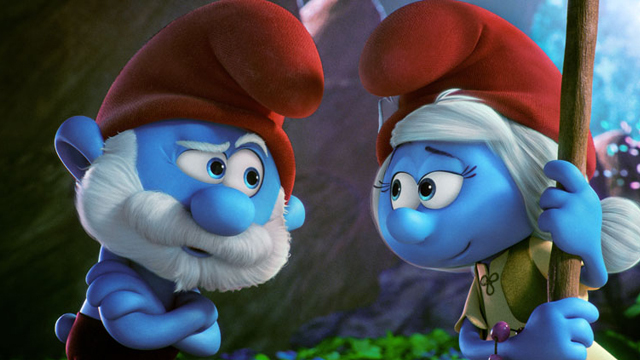 This April, Sony Pictures Animation is offering audiences a chance to meet the Smurfs again for the very first time. 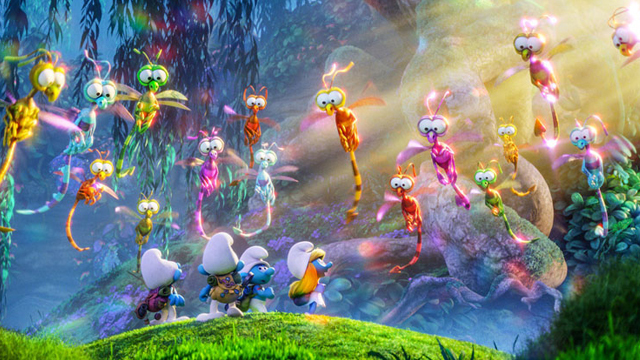 Inspired by the original Peyo comic strips, Smurfs: The Lost Village, promises a fully animated adventure with director Kelly Asbury at the helm. A three-decade animation veteran, Kelly Asbury’s past features have included hits like Shrek 2, Gnomeo and Juliet and Spirit: Stallion of the Cimarron. In the below conversation with CS, Asbury discusses his approach to The Lost Village and explains how the new film will offer something that is simultaneously very familiar and unlike anything fans have seen before. 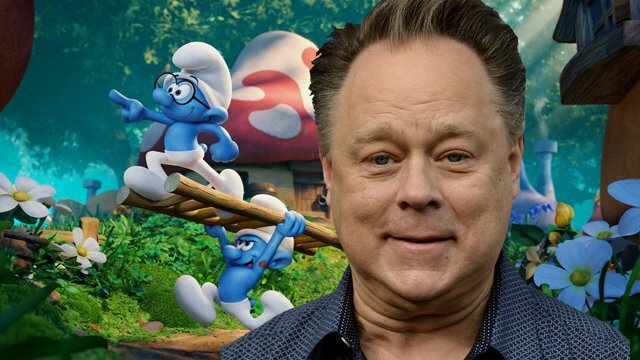 Smurfs: The Lost Village features a voice cast that includes Demi Lovato as Smurfette, Rainn Wilson as the evil Gargamel, Joe Manganiello as Hefty, Jack McBrayer as Clumsy, Danny Pudi as Brainy, Mandy Patinkin as Papa Smurf, and Michelle Rodriguez, Ellie Kemper, Ariel Winter and Julia Roberts as SmurfStorm, SmurfBlossom, SmurfLily and SmurfWillow, respectively. The voice cameos will include Gordon Ramsay as Baker, Gabriel Iglesias as Jokey, Tituss Burgess as Vanity, Jeff Dunham as Farmer, Jake Johnson as Grouchy, and Kelly Asbury himself as Nosey. CS: Where did your relationship with “The Smurfs” begin? Kelly Asbury: That’s an interesting thing. They didn’t really come to America until the ’80s and I was not aware of them before then. But I was an adult in the ’80s. I was in my 20s. I actually applied at Hanna-Barbera to work on “The Smurfs” when I got laid off for a brief period of time from Disney. I didn’t get the job. That was my first introduction to Smurfs. Because I didn’t have kids, I didn’t know a lot about them. I knew of them and I had seen the live-action films. I knew enough when I came on to go, “Okay, I know what Smurfs are,” but I didn’t realize quite the universe that they encompassed and I certainly didn’t know how popular they were around the world for years prior. They were hugely popular for like 30 years prior. I had a lot to learn and I did my research. Now I think I know everything there is to know, but I may still be surprised. CS: How did the Lost Village become the focal point for the story? Kelly Asbury: What we found is that the biggest question people ask is, “Why is she the only girl?” There’s no real answer as to why Peyo chose to make them all boys. They were just Smurfs. I don’t think he really thought about it. My hunch is that he probably got some letters that said, “Where’s the girl?” He created a girl, but he wanted to find an intriguing way to do that. The whole Gargamel creating her thing is great. It’s so intriguing and we do depict that to some degree in our movie. It helps us because, if we didn’t do that and she was just this girl in the scenario, we’d just have the same question. It would feel like a loose end. Yeah, interesting movie, but why was she the only girl? So once we had her as the only girl, we asked the question, “What would happen if the Smurfs encountered other girls?” What would she do? What would they do? What would the girls do? It opened the field up and a lot of it evolved from that sort of impetus of what would happen if, all this time, there was another village of Smurfs out there and no one knew about it. It would change everything. That was a big part of it. CS: Because Peyo designed the Smurfs for 2D, I’m curious to know if there were any unexpected challenges in capturing the right look in 3D. Kelly Asbury: There are tricks we’re doing to get around that. Smurf hats, for instance, look strange if you look at them head on. We devised a way that the Smurf hat is always three quarter. No matter what we’re doing, the hats are always three quarter. That’s a little trick that CGI allows you to do. It keeps that appeal. But the Smurfs were built and designed in a manner that’s very similar to the Pogo comic strip or even Mickey Mouse. Peyo was a contemporary of all those artists who worked at Disney and Walt Kelly, who did Pogo. It makes sense that he would have that same thinking about almost baby proportions. For the way they move, we were able to look at some old cartoons. We watched some Mickey Mouse cartoons and just looked at the shape language. It informed a lot. CS: Smurfs famously use the word “Smurf” quite a bit in their vocabulary. What was your rule for finding the right balance there? Kelly Asbury: We didn’t want to do too much of it, because it does get annoying. While it’s a big part of the language in the comic, it does wear on you. It’s in there, because it is important, but we kept it to a minimum. It’s a joke that works for a while. I think it’s fun for kids, but we had to find our breaking point. CS: How did the central team of Brainy, Clumsy, Hefty and Smurfette come together? Kelly Asbury: We wanted a good character dynamic. We figure Smurfette was determined and is sort of the leader of this team. She’s the one that’s going to go do it and we wanted a team to help her. She needed strong protection, so Hefty is there for that. He kind of has a crush on Smurfette, so he’s going to be by her side. Clumsy looks up to Hefty, but he’s slow so he slows everyone down. Then there’s Brainy, who’s the brains of the outfit, and he navigates. The four of them made a great dynamic team, just like Dorothy and her three cohorts. It’s not the same dynamic, but it does have the same sense of four people who are together on an adventure. It’s about what they face along the way and about how they thwart their enemy and wind up getting something they never expected. More than they ever expected. CS: You showed off an underground tunnel sequence that had a lot of fun style to it. Where did that originate? Kelly Asbury: I’m a lover of the great adventure films of the 1980s. “Goonies,” “E.T.”, “Raiders of the Lost Ark,” “Star Wars.” I wanted to create a world that presented the Smurfs with obstacles and challenges and really put them in a fish out of water situation but also make them very active in getting out of their situation. Make them really the central characters. That was part of the impetus of it. That scene with the tunnels came about because of Bryan Andrews, one of our story artists who does amazing work. He has worked on “Iron Man” and “Samurai Jack.” He took what was in the script, a paragraph that our writer came up with. It was just something like, “The Smurfs get lost in some tunnels and they have to get out. They encounter some bunnies who end up releasing them.” He took it from there and boarded those shots. That was our first sequence that got finished. It kind of did inform our look for the rest of the movie. The first layout sequence usually does. We go, “Okay, here’s what we’re going to do with the camera.” It just sort of evolved from there. That sequence was very fun to work on. CS: There’s also an appearance by some glowing bunny rabbits. Kelly Asbury: Our writer, Pam Ribon, came up the idea that they encounter some glowing bunnies. We just took it from there. It’s directly from her script. CS: When you have something completely original like that, is there a process by which you give it that Peyo style? Kelly Asbury: Our character designer Patrick Mate is from France. He grew up drawing The Smurfs. He can draw them as well as Peyo. In fact, Véronique Culliford saw his drawings and cried. She said, “They look just like my dad’s.” We knew we needed a rabbit, but we needed one that looked like how Peyo would do it. He researched. There were rabbits. Every bug, every single thing in this movie is drawn from actual designs somewhere in the Peyo world. Every leaf. Every blade of grass. Everything is taken from the way Peyo would have done it. CS: Because the film is ultimately going to play for global audiences, do you need to consider how Smurfs represent different things in different countries? Kelly Asbury: Not so much what they represent, but we do want to make sure the humor isn’t lost. We don’t want to have totally US-oriented humor. We tried to be careful with that. We avoided signage anywhere in the picture. Obviously, other countries will dub different voices in, but we wanted to be able to turn the sound off and still get what the story is. Visually, you can still understand the thrust of it. I hope!